What is Mosquito & Pest Control Mosquito? Mosquitoes are small flying insects that usually present in the dark and dirty places, corner's of the room and offices and many other places. They are samll in size but give many harmful infection into the human body in some cases person may die. It is already known that Mosquitoes spread a large number of diseases which are life threatening and mosquitoes can easily enter any rooms or places so that they can bite and spread severe diseases. Although we keep our house neat and clean, the locality we live is nasty and untidy then we will also become the victim of mosquito invasion. To safeguard ourself and our environment, Pest Control Gurgaon has offered many preventive measures and best solutions to prevent mosquitoes. If he /she doesn't give proper treatment they may be died, including babies and children who are bitten by mosquitoes carrying WNV symptoms or a very mild illness. They spread many infection that human being have to face due to mosquitoes bite like passing from host to host, some transmit extremely harmful infections such as malaria, yellow fever, Chikungunya, West Nile virus, dengue fever, filariasis, Zika virus and other arboviruses, rendering it the deadliest animal family in the world. In metro cities like Delhi and Delhi NCR, there are a lots of problems associated with Mosquitoes. Among the pests, Mosquitoes are considered the king of the pest because of the severe damgages caused by the mosquitoes are very serious threat to the human and environment. Mosquito Pest Control Gurgaon: We provide Mosquito Treatment for all home, office and other commercial places with permanent do it yourself model after first treatment. Call: +91-9870276582 for Pest Control Gurgaon Services or contact Pest Control in Gurugram online. What are the mosquito treatments in Pest Control Gurgaon? your pest management professional will prepare a mosquito treatment plan that provides recommendations and assistance for both source reduction and necessary chemical product use. Preparing a diagram of your property that shows the actual or potential mosquito development sites. Mosquito develop sites are normally identified as a natural or man-made site that will collect water. Some examples are low areas on the property that are prone to collecting water after rain, clogged rain gutters, flooded crawl spaces, water that pools around downspouts, water that collects in cans, child swimming pools, uncovered boats, tree holes or rubbish and debris that hold water. Providing recommendations to exclude mosquitoes from getting inside the home. Providing recommendations for vegetation management. This is important since many kinds of mosquitoes rest in vegetation around the home during the daylight hours. What are the mosquito-borne diseases? Mosquito-borne diseases or mosquito-borne illnesses are severe diseases caused by viruses, bacteria, or parasites transmitted by mosquitoes. They can transmit disease without being affected themselves. There is about 700 million people who get a mosquito-borne illness each year resulting in over one million deaths. There's no doubt to say that most of the deadly diseases are transmitted by mosquitoes such as malaria, dengue, chikungunya, Japanese encephalitis, West Nile virus, yellow fever, filariasis, tularemia, dirofilariasis, Western equine encephalitis, Saint Louis encephalitis, Eastern equine encephalitis, Ross River fever, Barmah Forest fever, La Crosse encephalitis, Zika fever, Venezuelan equine encephalitis, Keystone virus and so on. How to protect us from Mosquito Bites? 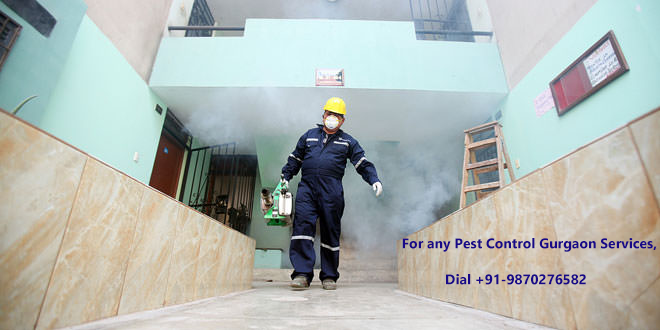 Pest Control Gurugram can use some eco-friendly pest control chemicals And some other lotions apply on our body through this we can protect from the Mosquito bite . Cover up your body, Wear light-coloured, long-sleeved shirts and pants with fabric thick enough to prevent mosquitoes from biting. Shoes and socks are also recommended. Avoid being outdoors in the early evening to morning. This is when mosquitoes are most active and likely to bite. Reduce mosquito breeding sites around your home. Mosquitoes breed in water that has been standing for longer.